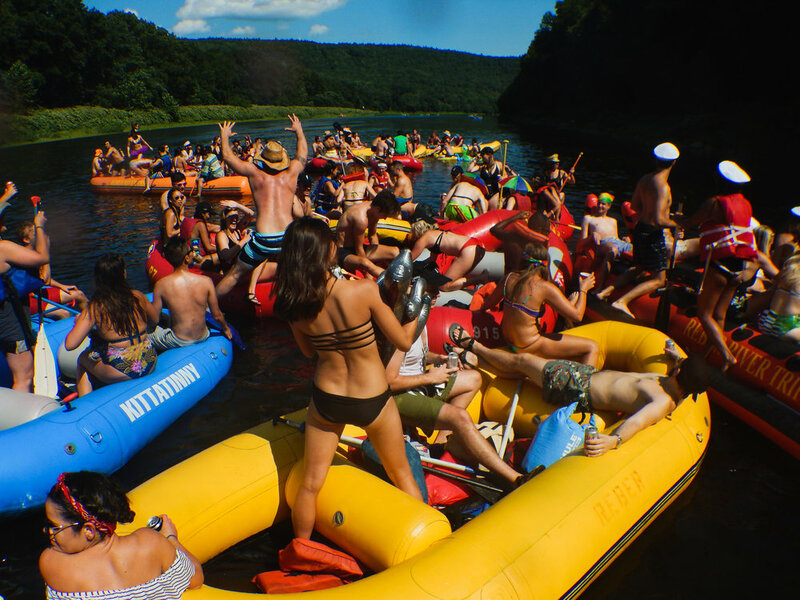 Pack up your coolers and gather your most sea ready friends; your journey begins Saturday morning, embarking on charter buses with power, WiFi, and bathrooms for a 3 hour ride to New York’s closest floatable body of water: The Delaware River Gap. When you arrive, keep anything you don't want to float down the river with under the bus, we'll have it waiting for you at the landing thanks to Gorilla Bins. Why we're all here, 3-4 hours of floating on 8-10 person rafts. This is floating, not white water rafting. Coolers and food are allowed (more on that in FAQ). 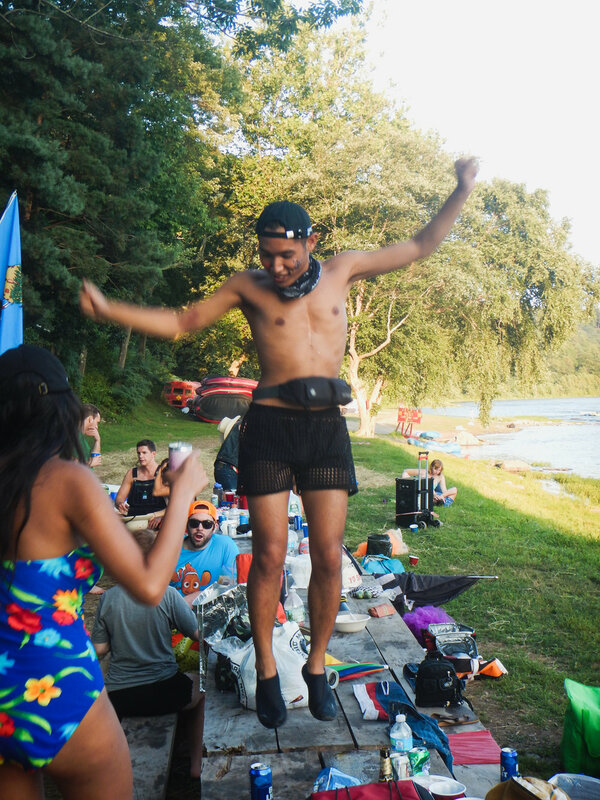 You can float far away from the group and enjoy the nature, or you can pull up to the Disco Bouy, our floating sound system, and flow with the music. 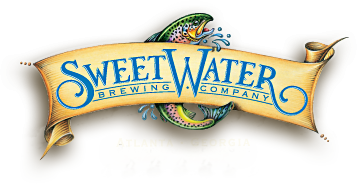 Every sailor has access to the USS SweetWater, a raft filled with beer from SweetWater Brewery, included in the ticket price. 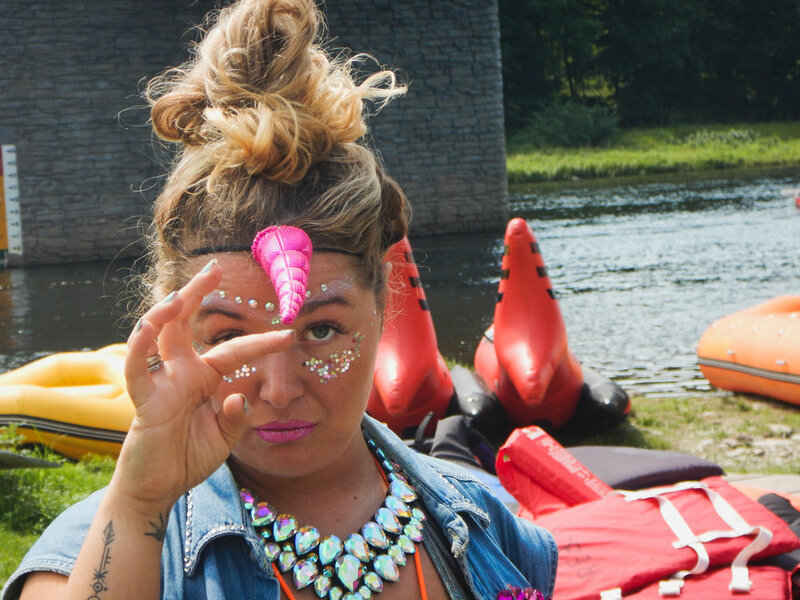 Theming your raft and wearing costumes is not required, but you’ll definitely have more fun if you do. 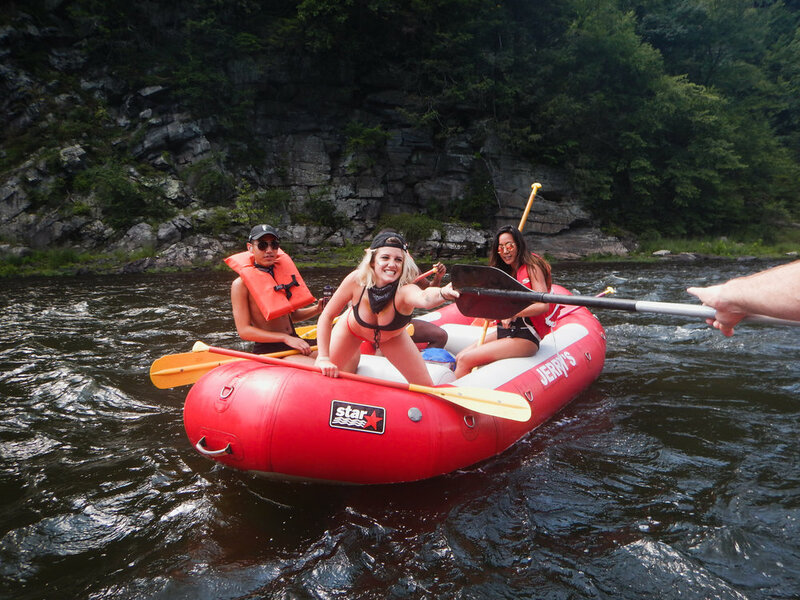 After navigating 6 miles of beautiful river, you will hit shore at our home for the evening. You can choose to bring your own camping equipment or purchase a tent package. If you order a tent package, we'll have it waiting for you, with all of your stuff in it when you arrive to the landing. (See FAQ for what you need to bring). Enjoy cocktails built by Virgil Kaine Whiskey, included in the ticket price, while you soak in the sounds. Walk to the west end of the landing for a riverside tablecloth feast crafted by Citizens of Chelsea, included in the ticket price. Options for veggies and meats will be available, menu options sent via survey to ticket holders. Enjoy the vibes and get some fuel, you've got a big night ahead of you. Firewood included in the ticket price. Feel free to bring small bluetooth speakers, smores supplies, and whatever other nature enjoyment supplies and activities you desire. Look around you, friends, fire, and forest as the magic of the river sets the backdrop for whatever you want this night to be. Wake up, deconstruct your tent, bathe in the river like a nymph if you like. Then grab a to-go breakfast and hop on the buses back to the city with a fresh, sparkling soul. - Any additional snacks you want for the bus ride, float, or landing. What's The DeAl With THese Rafts? Oh man, are these rafts special. They are super sturdy, enough so that we load one up with massive bluetooth speakers and bounce all the way down the river. 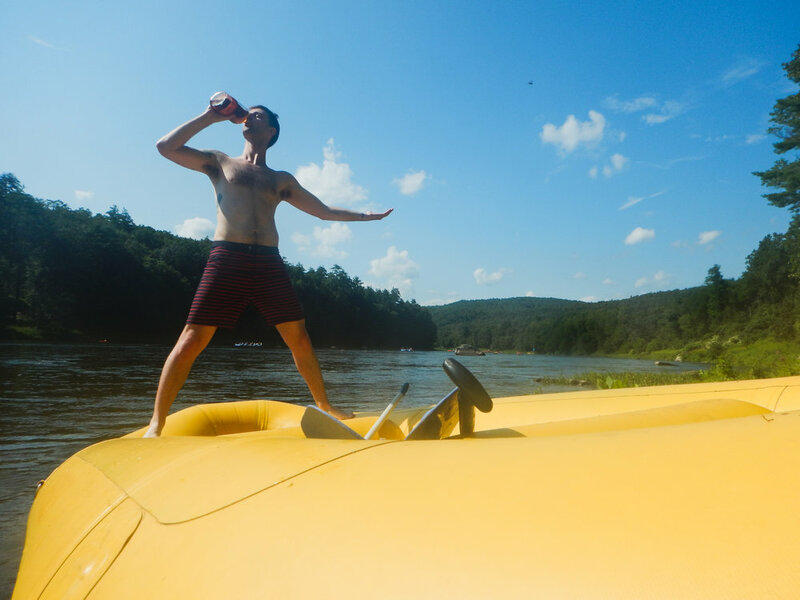 You can bring coolers of drinks (hard and soft), snacks, and generally whatever you can fit on the raft. DISCLAIMER: ITEMS IN RAFTS WILL GET WET. Plan accordingly (we recommend dry-bags and waterproof phone cases). All sleeping bags and camping equipment can be kept on the bus and will be unloaded, completely dry, at the landing. 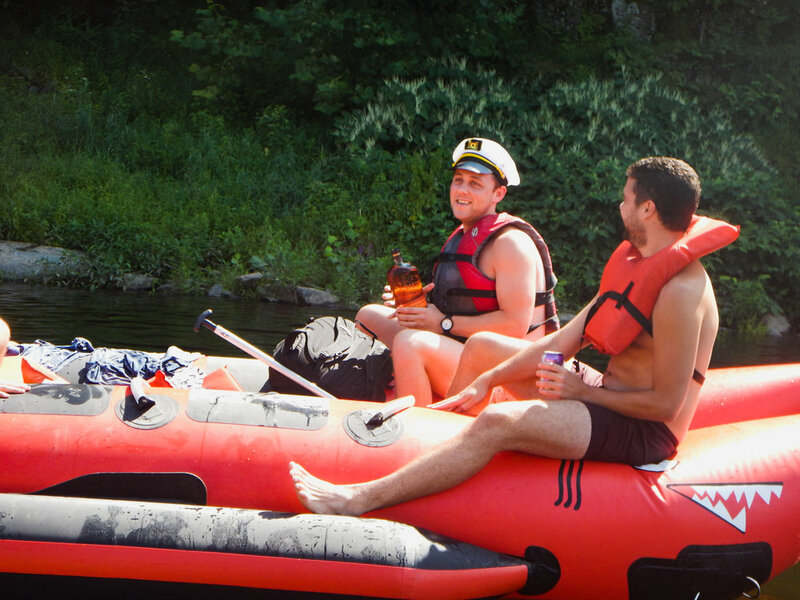 They are 10 person rafts and we put 8 people on each, see pics of last year here. You have to be safe. There are no rapids but this is a very big, powerful river. If you are swimming in the open river you MUST wear a lifejacket. If you pull off to the side to chill and your feet can touch, you don't have to wear one. If you are just lounging in your raft just keep your lifejacket nearby. If the river police roll up obviously put your lifejacket on. We put a lot of trust in everyone's judgement in order to pull this off safely. This is a long day, please don't get so hammered on the bus that someone has to look out for your safety all day on the rafts. Ok, proud parent rant over. It's a long day, so we'll start the float out on the chiller side, then move into some more bouncy vibes as we approach the landing. Sunset Sounds is pretty much an hour of dancing. If that's not your thing, don't worry, you'll always be able to sneak off and enjoy the nature vibes. Our experience is heavily impacted by the weather. If it rains enough that we feel we can't give you the experience you paid for, we'll reschedule for our rain date, August 4th. You will have the option to get a full refund if you can't make the rain date.